Too often I have seen folks begin a home addition or home renovation project without first really considering their available budget. They frequently wind up starting a home remodeling project that is too big to fully complete, and end up with either an unfinished home remodeling project or going deeper into debt than they originally had hoped. Establishing a top line home remodeling budget should be the first item on your to-do list when planning a home remodeling project. By knowing up front what you your maximum investment level is in your home remodeling project you can then size your project accordingly. 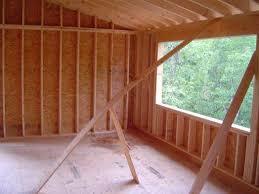 In order to budget a home remodeling project properly it is important to get accurate material and labor costs. If it is a small home remodeling project that you intend to do yourself, visit your local home improvement store and cost out the material. 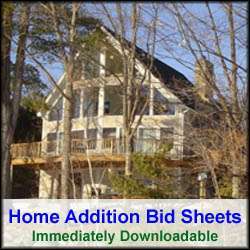 Sometimes you can provide the home improvement store with a bill of materials for the home improvement project and they will work up the specific material costs for you. If it is a large home improvement project then contact multiple contractors, or subcontractors, and obtain several quotes for each aspect of the project, e.g. plumbing, electric, insulation, drywall, etc. When developing a home remodeling budget it is also important to allow for some contingency in your estimates, or estimates you have obtained from contractors or sub-contractors. There are always issues that come up that normally lead to higher costs than originally anticipated. Also, really think through every aspect of the home improvement project. If you are building a home addition, or remodeling a kitchen, make sure you budget for permits, demolition costs, and temporary services. You may also need to purchase an insurance policy on building material theft and liability during the construction phase. In addition, if you are building a new custom home, you may need to budget for a portable toilet to be on site. In addition, if you plan to finance the home remodeling project you need to budget for the costs of obtaining and carrying the loan. Finally, it is important to consider the future property tax liability. A new home addition or remodeled kitchen could end up costing you thousands of dollars more per year in property taxes. Make sure you consider this cost in your household operating budget. Building a home addition or remodeling a kitchen or bathroom is a great way to invest in your home however it is important to develop a realistic budget prior to kicking off the project. Do not be too optimistic in your budgeting. Obtain accurate costs. Allow for contingencies. And stick to your budget during the construction of your home remodeling project.